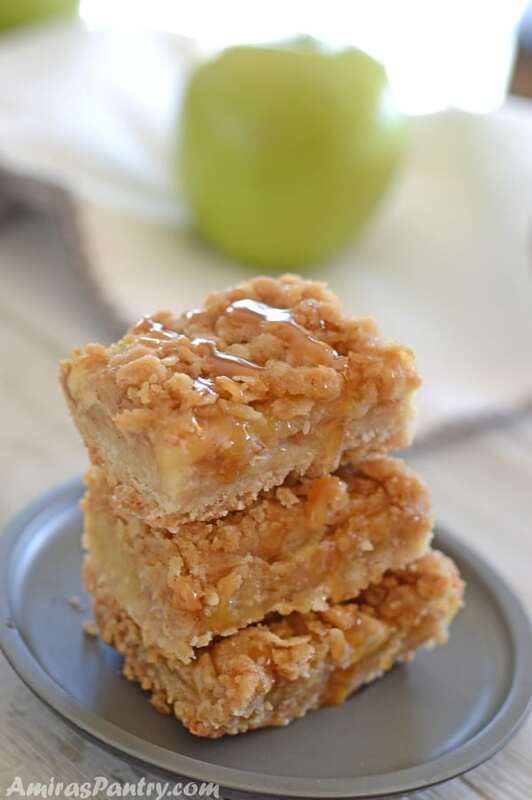 Meet our new favorite apple dessert, apple crisp bars! 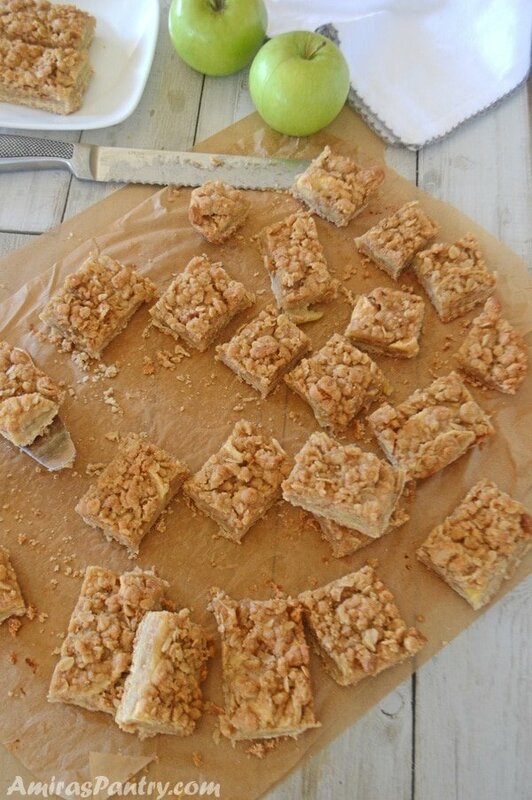 These bars are tasty and unbelievably easy, perfect for last minute company. Learn how to make apple roses here, beautiful and elegant dessert. 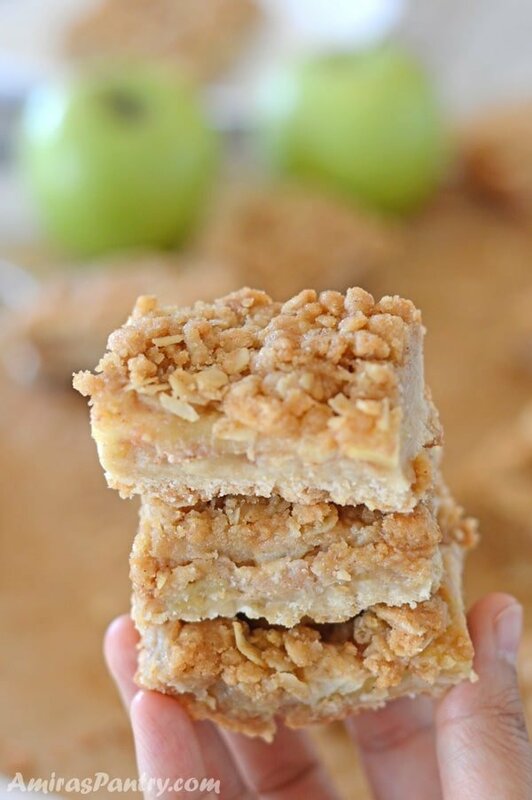 A heaping cinnamon-y apple layer sandwiched between shortbread crust and crunchy oat brown sugar topping. 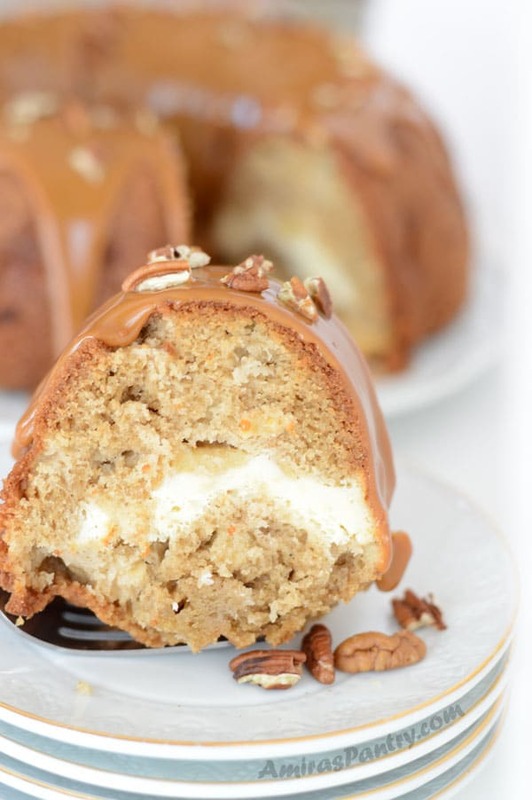 Add some homemade caramel and you’ll be hooked. Add a scoop of vanilla ice cream and you’ll do your happy dance. Fall is just around the corner and fall means apples.. loads of apples. 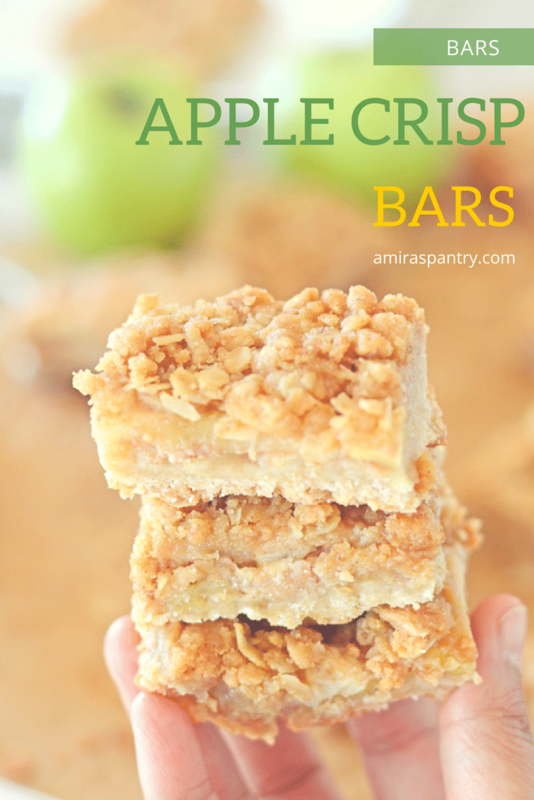 These apple crisp bars are a very easy way to enjoy apples sitting around on your kitchen counter. For the majority of my youth life, I’ve been basically a walking stick!! with literally no desire for desserts at all. Now, guess what? I am a walking sweet tooth. I do not know when or why this has happened. Probably change of location?, or may be getting older? ?… ignore that last statement. I just seem to always long for that after-dinner dessert. 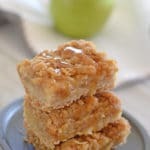 This is a very quick and easy dessert that can be made, frozen and just take a square or two, if you can resist when the sweet craving hits. 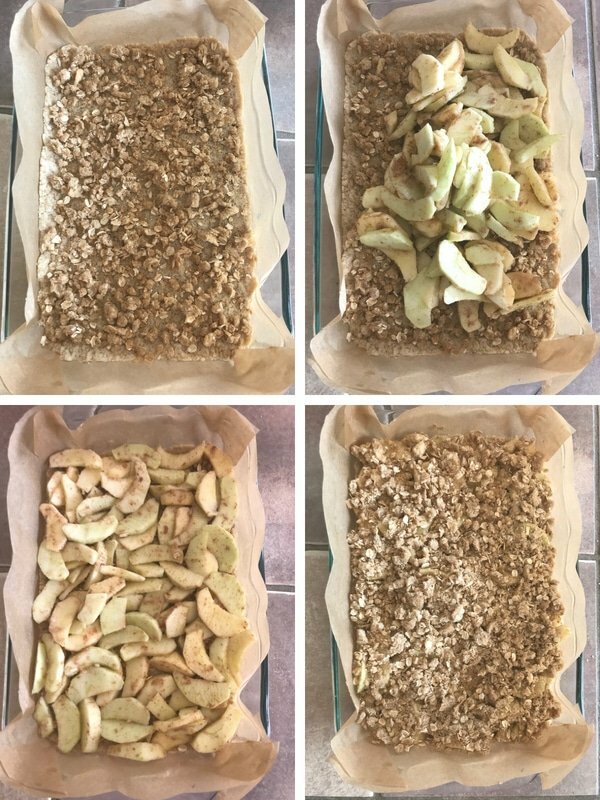 How to make apple crisp bars? 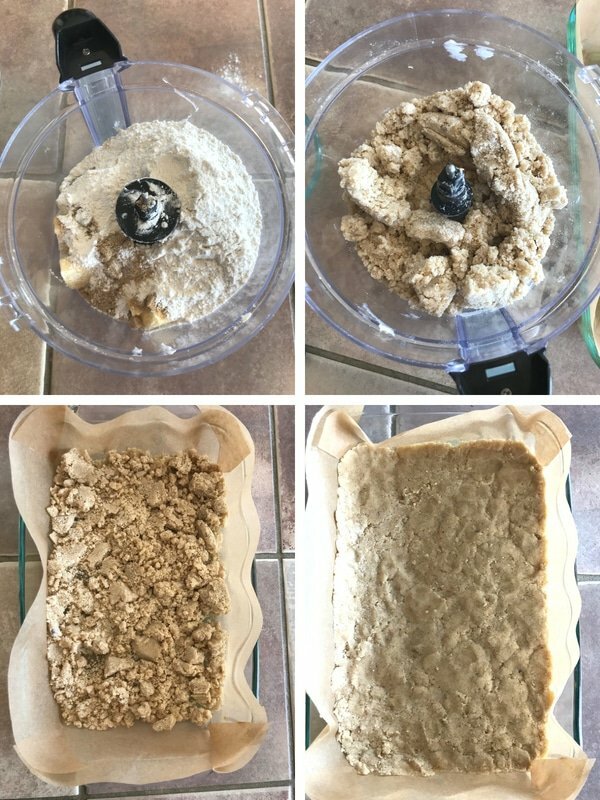 In your food processor, add butter, brown sugar, flour and salt then process until small lumps form. Line a 13×9 baking dish with parchment paper letting it dangle a bit for easy lifting out of the dish. Spread the mixture and pressing with hands to level. While the base is baking we’ll make the topping. Store in fridge until you finish the filling. 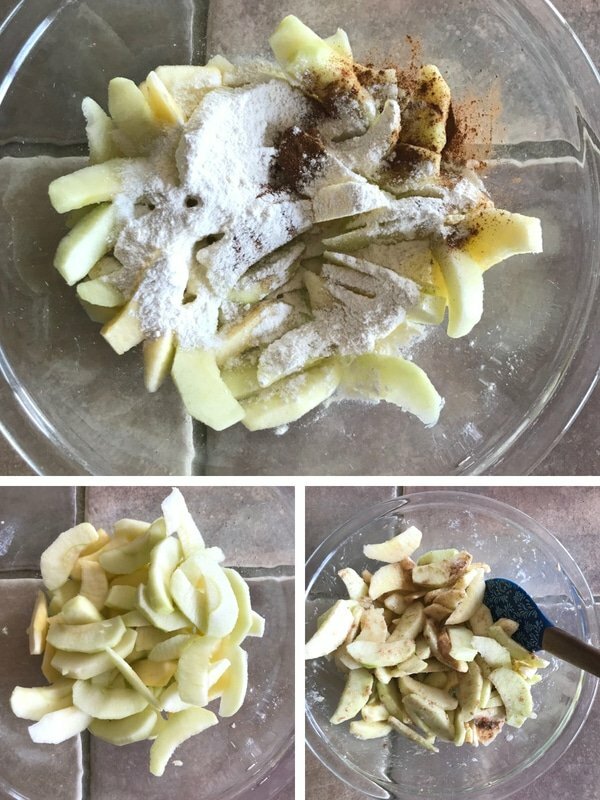 In another bowl, add apple slices, lemon juice and mix well to coat. Take the base out of the oven and increase temperature to 350F. Sprinkle half the oat mixture on the base layer. Add the apple slices and spread evenly. Top that with the rest of the topping and bake for almost 40 minutes until top is nicely browned. Take a bar or two or even three, these are very addicting. I bet you’ll do like I did… One day, I sneaked them straight out of the fridge, no heating, no caramel sauce, no fancy ice cream. They are addicting. 3/4 cup unsalted butter cut into 1/2-inch pieces. 1/2 cup packed light brown sugar. 4 large apples peeled and sliced. 3/4 cup old fashioned oats. 3/4 cup light brown sugar. 1/2 cup unsalted butter cut into pieces. Pre heat oven to 300F. In your food processor add base ingredients and pulse until small lumps form. Spread mixture into a 13x9 pan and press tightly with the back of a spoon or a spatula. Take out of oven and raise temperature to 350F. 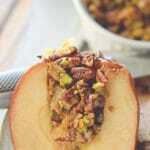 In a bowl, combine filling ingredients and mix well until apple slices are well coated. 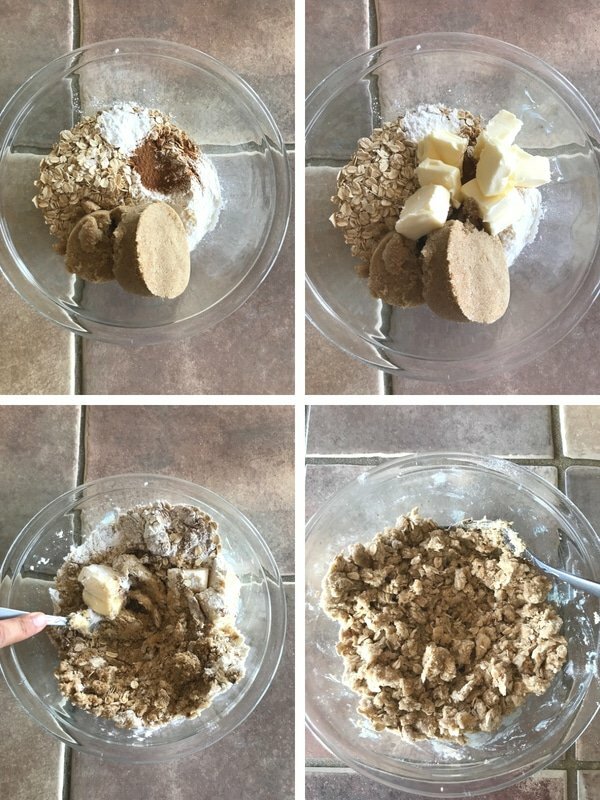 In a deep bowl, combine topping ingredients and mix with a fork until it resembles small crumbs. Spread half the topping mixture over the base then add the apples and level. 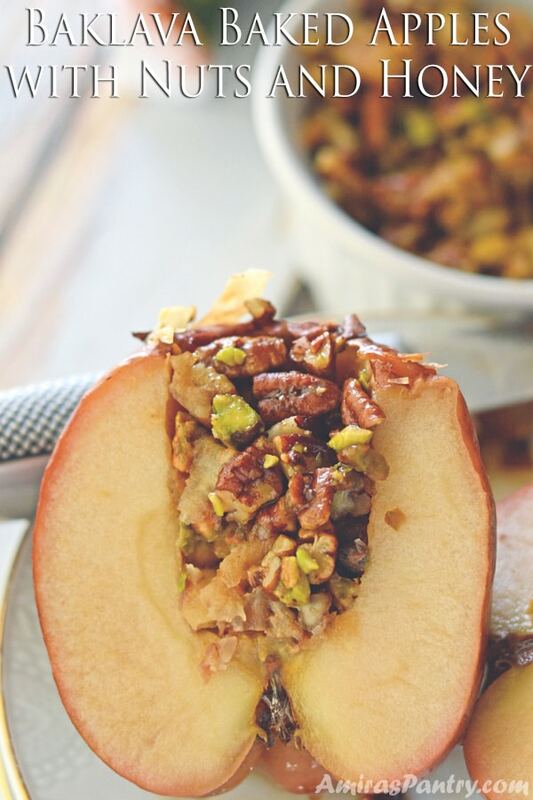 Sprinkle the rest of the topping on top of the apple layer to cover. 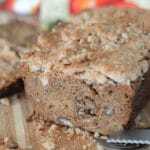 Made this tonight with some honey crisp apples- YUM! Jess, thanks for trying this recipe, I am glad you liked it. 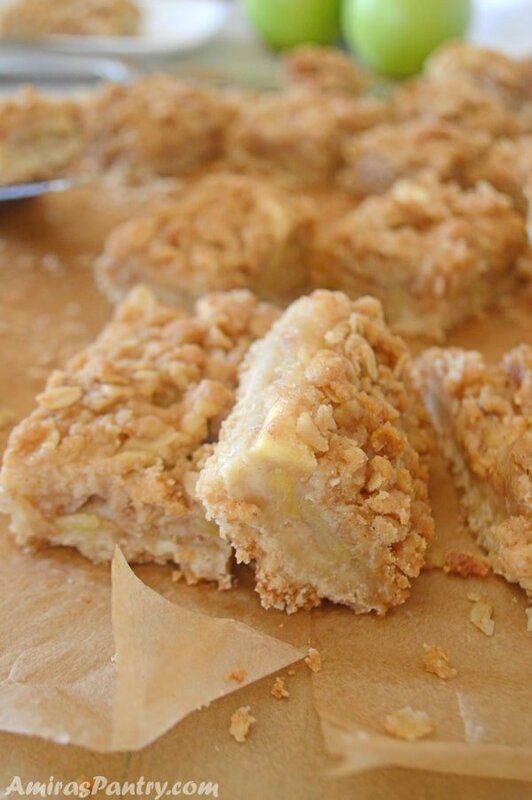 This was one of the best apple desserts we’ve had and everyone loved it. The recipe was so easy to follow. Thank you. Thanks Susie for trying this recipe out. I am happy you’ve liked it. 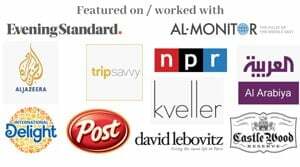 I have not commented before, but just want to tell you that I enjoy your charming blog and lovre reading about your family and fascinating recipes. I try to read all your posts that land in my email. I can’t wait to try this one, along with many others I have bookmarked. I live alone, so I save my favorites to try out when my children visit . Thank you for sharing your culture, your recipes, and your interesting stories! Kim, thank you so much for your sweet comment. I love talking about my crazy boys :), they are unexpected and full of surprises. I hope you’ll like the recipes you try. Please come back and give feedback or shoot me an email with a picture, I love seeing your creations in the kitchen.